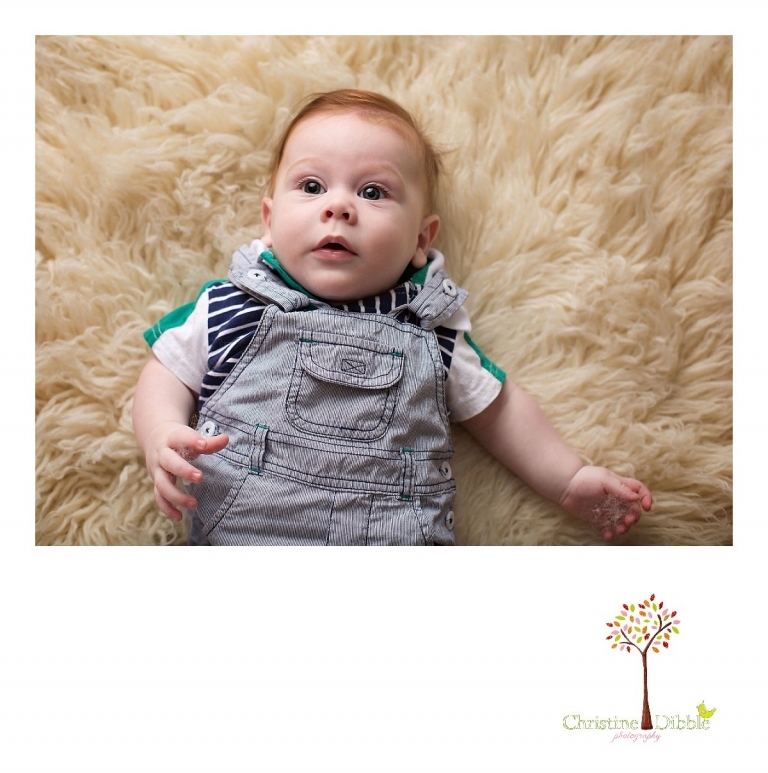 Being a baby photographer is the best job! I get to play with these adorable little people who smile and flirt and work on building their new skills while I capture it all in photos. And then I can send them home for all the fussing and messes they make! But really, they are all cute enough that I would deal with the messes myself, just for some of those gummy smiles. This little man was so adorable! That little fuzz of reddish hair and those squishy cheeks were perfection. And his little hat and jeans…so cute! 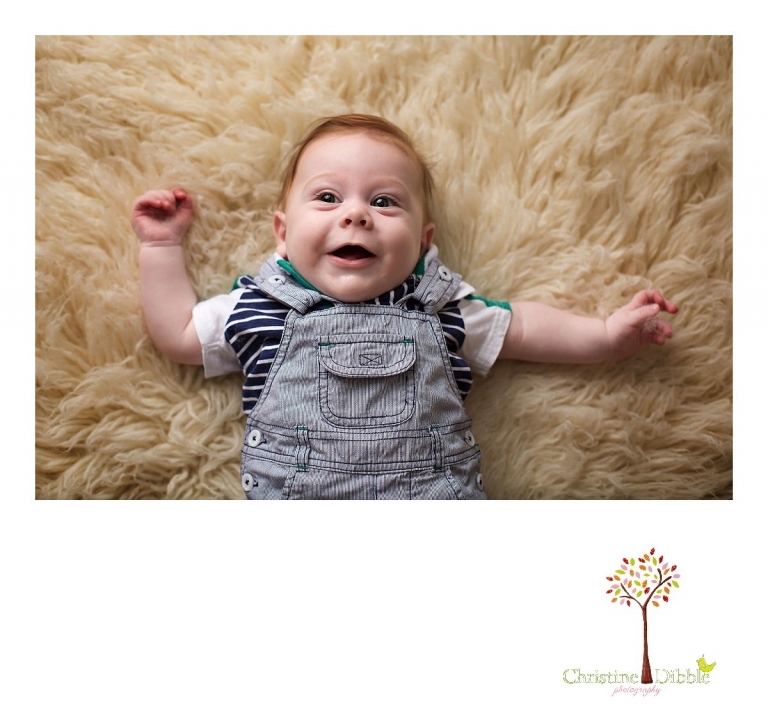 Jessica - This little guys looks like he was loving his portrait session! Beautiful photos. Jonelle D - He looks like so much fun! I love his expressions! Great job! Jennifer - Those eyes and that hair!!! What an adorable session; great job! Jane - What a great capture of all of his expressions! Trevee - What a little cutie! Andrea - Oh what a cutie and those eyes! 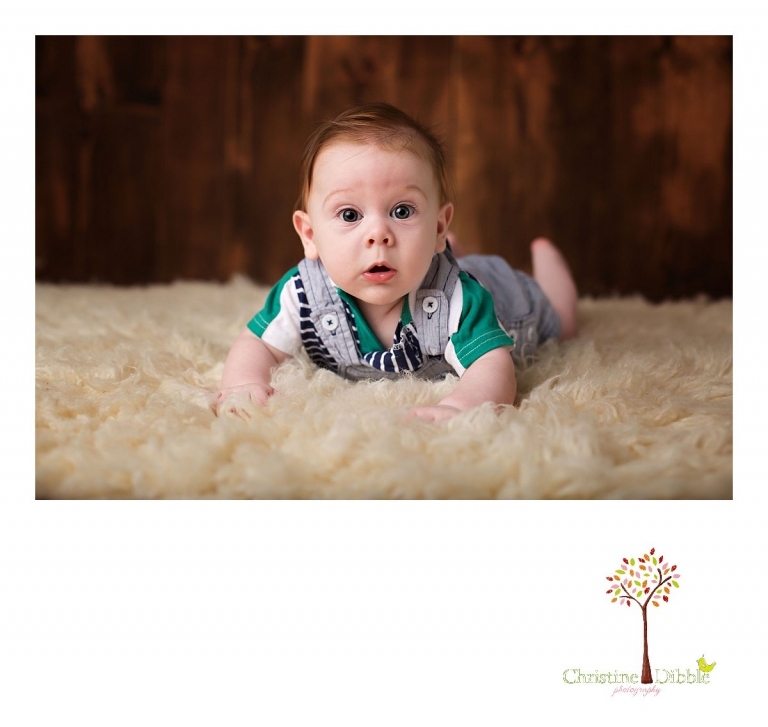 You have captured some fantastic images of this little guy that his family will LOVE!